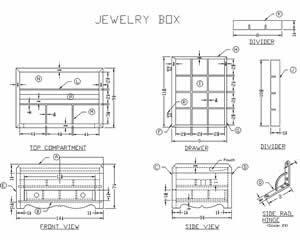 The Tool Crib – 19 Free Jewelry Box Plans: Swing for the Fence with a Wooden Jewelry Chest! Can you feel Valentine’s day breathing down your neck? Is that special someone’s birthday about to blind side you? Wait is it almost Christmas time already? YIKES!!! Maybe you’ve already made a “classic” or even a “home run” jewelry box in the past… You have a lot to live up to this year. Sometimes you have to go big – bigger than ever before. 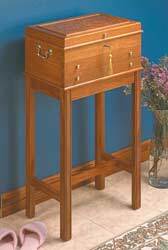 These 3 GRAND SLAM jewelry chest plans will keep the gratitude flowing ALL YEAR LONG. You can’t go wrong with the classics. Each and every one of these is guaranteed to bring a tear to the love of your life’s eye… (even if that tear comes after she opens it up and sees it’s empty ;). You’ll notice that the designers who make plans for wooden boxes that sit on top of guy’s dressers call them “storage chests” and “dresser valets.” That’s fine. 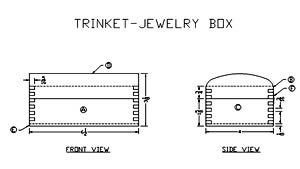 We know what they really are, and there’s no shame in guys having jewelry boxes… or in making them and giving them to each other. Bromance is a beautiful thing. 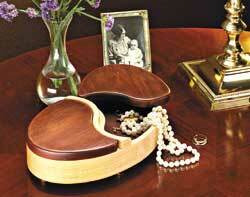 You don’t need to explain to us why you need a simple, quick woodworking gift idea. We completely understand. 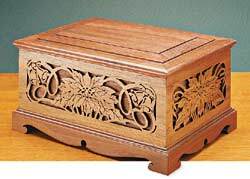 These six jewelry boxes still say “I love you” while not smothering that special someone in too much expectation of gratitude. 9 Router Bit Storage Plans: Router Bit Boxes, Shelves, Organizers and more! Just click the links above for the free plans. Or the pictures. This is a collection of free plans from around the web. Your site provides a great service to all woodworkers. Thanks!